You learn about far breton when you travel to Brittany, on the west coast of France. 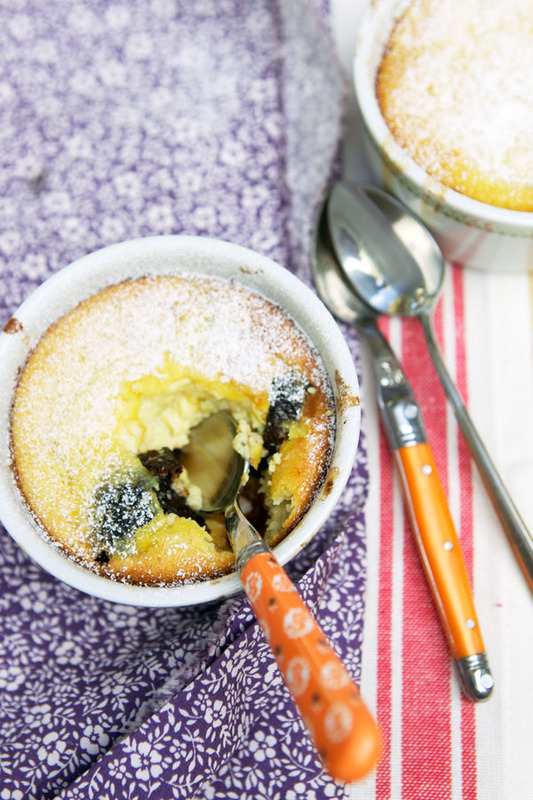 This traditional French dessert is similar to clafoutis in texture, expect denser, with prunes (Pruneaux d’Agen) replacing cherries. When we traveled to Belle-Ile en mer this past summer, you will have guessed what we ate there too. I wrote a recipe for the Boston Globe food section today. I hope you’ll enjoy the dessert as much as we did. I also baked a gluten free version for me to enjoy! Unfortunately, I have yet to visit France. But I am familiar with Far Breton. And your rich-looking version, made with prunes, looks like an excuse for me to march into the kitchen and crank my oven on. Oooh, thank you so much for the recipe! I’ll definitely give it a try. My boyfriend’s family is from near Brest, and I’ve always used his aunt’s recipe (delicious! thinner, & with raisins instead of prunes) — but a little something different is always nice 🙂 It’s nice to see a bit of Brittany in the Boston area! He’ll be delighted when I show him the Globe. Trugarez! This looks great! I have to make a dinner with individual desserts for everyone and this looks simple enough! Great recipe, love anything custardy. What kind of flour in your gluten free version, quinoa? Enjoy Ireland. Bonnes vacances! Mmmmm, I have yet to make it to Brittany, but I need no other reason than Calvados and far Breton! 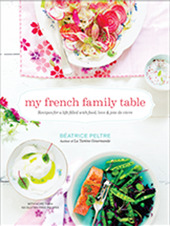 Growing up with a brittany grand ma, far breton such as crêpes, is an institution in the family. Later on in Quiberon, I discovered Kouign aman, oh my God ! Ma grand-mère Maryvonne (une vraie bretonne!) le faisait aux raisins, avec beaucoup de beurre salé (with a lot of salted butter)… j’en mets un peu moins et je varie les fruits selon les saisons! I love your blog. 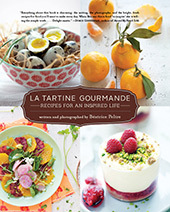 Great pictures, great recipes and great text! Would you share the gluten-free recipes? I usually do not cook your recipes because I try to not eat refined carbohydrates, specially sugar and white flour. Have you tried replacing: cane/beet sugar – coconut nectar or sugar and white flour – blanched almond flour? Super, j’adore le far breton… J’ai eu la chance d’en manger une fois quand je suis allée en Bretagne et j’ai adoré. Ceux que tu nous présentes aujourd’hui ont l’air délicieux! Oh my. As a Bostonian and lover of prunes (ahem, naturally) I have to make this recipe asap! Can’t wait to check out the Globe. I’m sure this is delicious if it’s anything like clafoutis which I’m deeply in love with (thanks to you, by the way!). Great recipe! …I too have problems with flour: do you have a link to the gluten-free recipe you prepared for yourself? My wife made this last night. Delicious, and perfect to remind us of our own trip to Brittany last summer. Thanks! yum! I ate far with my mom in France years ago. Our other favorite sweet from Brittany was the Breton Butter Cake – a yeast dough laminated with butter and sugar. It was so caramelly, flakey, and delicious. Ben, ravie que tu aies aimé. Elle l’a fait sans gluten? I adore clafoutis so I look forward to giving Far Breton a turn. Thanks! Hi Bea – Since this serves 6, can I also bake it in individual ramekins? Should I adjust the temp? And what about cooking time? Thank you, I always love a new dessert recipe and I have never heard of this one. Clafoutis is one of our family favourites though so I can’t wait to try it! Wow. Clafoutis is very important in my house. My father even insists on having it every year instead of birthday cake. This looks like we would all instantly be hooked. And I love the prunes. They feel somehow more wintery. Bonjour Béa! Je viens de decouvrir ton blog. Je n’ai pas encore eu le temps de bien le visiter mais la recette du Far Breton m’a tapé à l’oeil. Et oui, je suis une petite Bretonne (who now lives in London) donc le far Breton je connais…et j’adore. Je suis bien contente d’avoir découvert le blog d’une Française!